Acts 1:8 Conferences are strategic missions mobilization conferences in which key African Assemblies of God leaders gather from throughout Africa to pray, plan, and strategize for the greatest outpouring of the Spirit in the history of the African Church. The conferences take place in strategic venues across the continent. The focus of the conferences is on Acts 1:8 and the church’s need for Pentecostal empowering to accomplish the Great Commission of Christ. In a School of the Spirit select African revivalists gather for a week of intensive training, intercession, and listening to the voice of the Spirit. 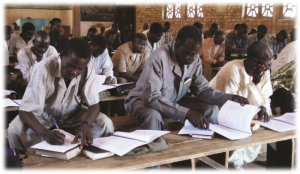 During the school participants seek ways and strategies through which they can be used by God to help inspire their national churches to Pentecostal revival. For a current schedule of conferences click here.